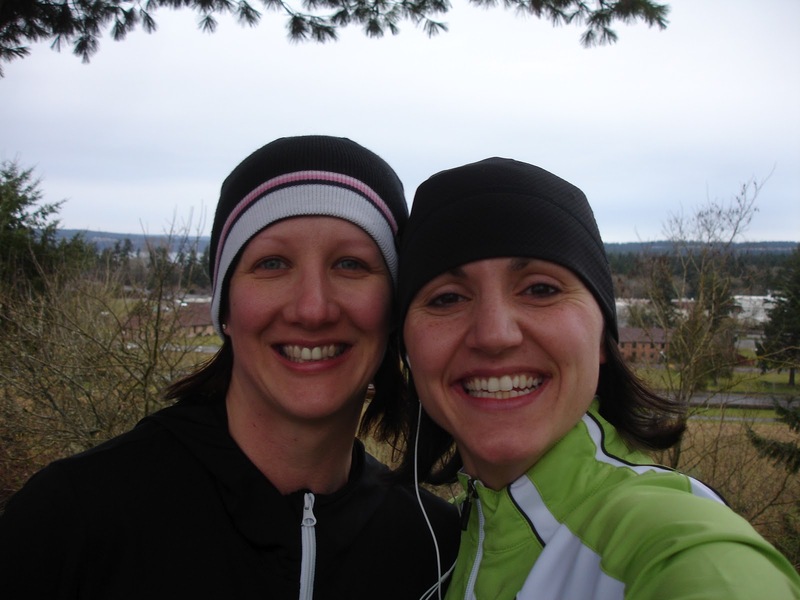 Today was our virtual run in memory of Sherry. We didn’t know Sherry personally, but no one should lose their life the way she did and no family deserves the pain her death has caused. So we printed our bibs and picked a fun, easy run that we could enjoy in Sherry’s honor. You can’t see it because of our heads, but that is Puget Sound behind us. Our first stop was a nice overlook at the top of a good warm-up hill. From there we dropped down to the lake in the middle of Ft. Steilacoom park, edged the lake until we headed back, up to the top of the back hill and then dropped down again through the woods on single track trails. Single track trail running is our favorite, and it seemed like this run should be for the pure joy of running freeing our minds to reflect and generate positive energy for Sherry’s family and all those that loved her. I hope all that knew and loved Sherry are able to start finding peace of mind and heart.